Waiting for duck and rice in the Celeste Imperio he remembered something, a story told by a colleague at a bar – or was it, he thought, stretching on the red plastic chair, a detail he had read long ago in, perhaps in an American novel? In the story an insurance worker had suddenly disappeared. Disappeared, only to be eventually rediscovered working in a different insurance company, with a different wife, living an almost identical life to the one he had abandoned. 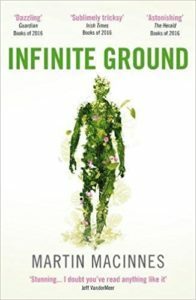 In Infinite Ground, this story functions to set out a major theme of the novel which is its depiction of the inauthenticity of the simulacral nature of existence permitted in a neoliberal corporate society. Both employment and family life are represented as infinitely reproducible roles that might as well be played by actors, as turns out increasingly to be the case. The American novel referred to by the inspector is presumably Hammett’s The Maltese Falcon, in which Sam Spade explains the case of a man called Flitcraft to the gloriously unreliable Brigid O’Shaughnessy. Flitcraft was a real estate agent with a wife and children who disappeared one day and was only discovered years later, once again living a routine domestic life as a businessman with a wife and children. The story uncovered by Spade was that a falling girder had nearly crushed Flitcraft as he walked down the street, causing him to become aware of the true randomness of the universe and leading him to realise that anything was possible including just walking off and living life differently. However, after a few years of drifting around he settled down again into a similar set-up to that which he had left behind. As Spade notes, Flitcraft didn’t even seem to be aware that he had returned to the groove ‘but that’s the part of it I always liked. He adjusted himself to beams falling, and then no more of them fell, and he adjusted himself to them not falling.’ It’s quite a different message because it suggests (in line with The Maltese Falcon as a whole) that meaning is related to the stable pattern and in maintaining, or restoring, the pattern, the detective enables a meaningful everyday life to exist. Ninefox Gambit is also concerned with (mathematical and calendrical) patterns to the extent that the society it depicts treats any deviation from the prescribed patterns as punishable heresy. The conflict in the novel, which is superficially military sf, concerns the attempt of rebels to change the pattern, with the added complications that the hegemonic pattern may well be the result of a brutal imposition and the further suggestion that there might be an even better alternative pattern available somewhere else. However, before most of this conflict becomes fully clear there is a long build-up introducing us to the protagonists, Kel Cheris, and the military genius who is inserted into her consciousness, Shuos Jedao. 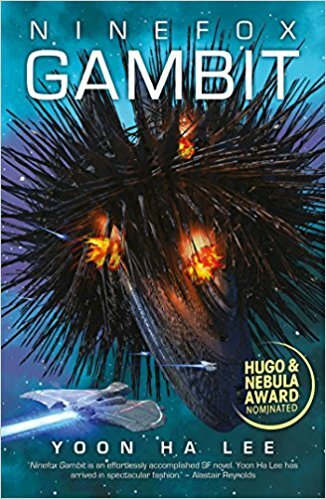 Given that Ninefox Gambit only fully comes to life in the final 50 pages or so, the first three quarters of the novel can be seen as a sort of holding pattern in terms of how the text is functioning. (It should be noted that it is a very pleasurable holding pattern, not without subtlety, in which the reader may well become quite fond of Cheris). As a consequence of this structure, Ninefox Gambit is as fully metatextual as Infinite Ground. That is to say, the emphasis on patterns within Ninefox Gambit is as equally concerned with the narrative patterns that construct the story as it is with the idea of how patterns determine reality. Rather than the world being treated as text, here it is conceived as mathematical pattern. At which point, it is worth noting that according to Max Tegmark’s ‘Mathematical Universe Hypothesis’, reality itself is a mathematical structure or pattern. More generally, while mathematics, and science in general, are connected to discursive structures, neither can simply be reduced to discourses that can be deconstructed through poststructural textual analysis; they refer to a reality existing outside text. The constraints on Cheris are both the repressive pattern of the hexarchate and the narrative patterns of generic space opera/ milsf but hope lies in there being a reality outside these restrictive formulae. The novel’s aim is to overcome these constraints from within. 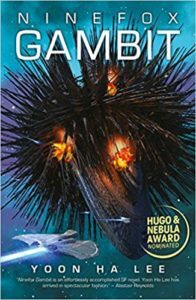 In this respect, Lee’s Ninefox Gambit (and presumably its successor volumes) is attempting to carry out a similar manoeuvre to that I discussed in my shadow Clarke review of Jemisin’s The Fifth Season and The Obelisk Gate. 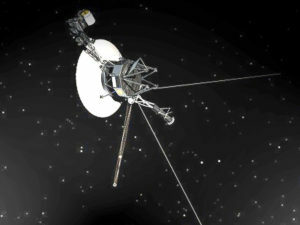 Whether these manoeuvres are fully successful will only be apparent after the series are completed. 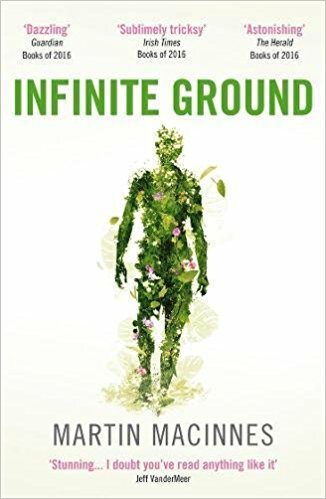 On one level, Infinite Ground is a police procedural and Ninefox Gambit is a space opera and readers may prefer one of these genres to the other. The reason why I tend generally (but by no means always) to prefer space operas to police procedurals is because when the former are operating at a level above pure adventure they tend to be concerned with creating some sort of meaning even within the vast unknowability of the universe; whereas police procedurals are often about breaking down the stories by which people live in favour of the atomisation characteristic of capitalist societies. It is in the interests of capitalism to support texts, stories and modes of interpretation that suggest that life is ultimately meaningless and therefore that there is in effect no alternative to things as they are. This, of course, is a generalisation and as such it is not entirely fair to apply to Infinite Ground, which is nearly always entrancing and in places, such as the ‘What Happened to Carlos’ section, sublime. Yet rather than the novel ending on this wonderful enumeration of multiple possibilities, it closes instead on the onward dissolution of the protagonist, now referred to only as ‘he’. This gives the novel a rather gendered feel as though complete dissolution of meaning is the only possible consequence of, and alternative to the collapse of the grand narratives of the patriarchal order. In contrast, Ninefox Gambit attempts to generate alternate patterns of meaning by moving beyond the gender binary. Given a choice between these two alternative modes of engagement between text and world, Lee’s approach seems more important to me in the current political context. The global balance of power is not in the process of shifting but has already shifted from the West to China and Asia more generally (Brexit and Trump are consequences of this shift). 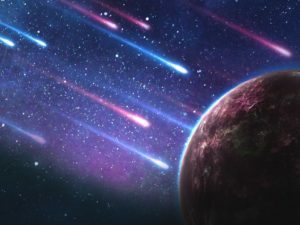 Rather than generic forms of fiction becoming obsolete, they are going to grow in significance, as suggested by the success of Cixin Liu’s The Three-Body Problem. 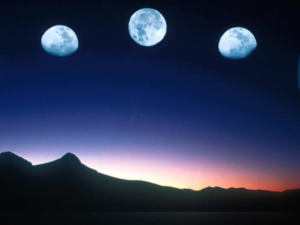 The challenge is to change the pattern of these generic models to generate new and non-repressive meanings by which people can live by in the fullness of the universe. Nick Hubble is an academic working in the English department at Brunel University London, where they teach modern and contemporary literature, including Science Fiction and Fantasy. In addition, they have reviewed SFF for journals including Strange Horizons, Los Angeles Review of Books, Foundation and Vector. >> Read Nick’s introduction and shortlist.